Why simply walk your dog every day when you can take part in an event and earn yourself and your dog a matching medal! The Brighton K9 Challenge is a unique, fun, running with dogs event combining exercise with your best four-legged friend. Run or walk 5 kilometres through Stanmer Parks beautiful woodland. Run or walk 5 kilometres through Stanmer Park’s beautiful woodland. Stanmer Park has limited parking within its boundaries. There are small car parks dotted throughout the park, as you drive through, and then up by the church adjacent to Stanmer Village. Please do not park on the road as this will block the 78 bus route and your car will be towed away. Please arrive early enough to find suitable parking and make your way to the registration desk. Walking gear and a dog lead! 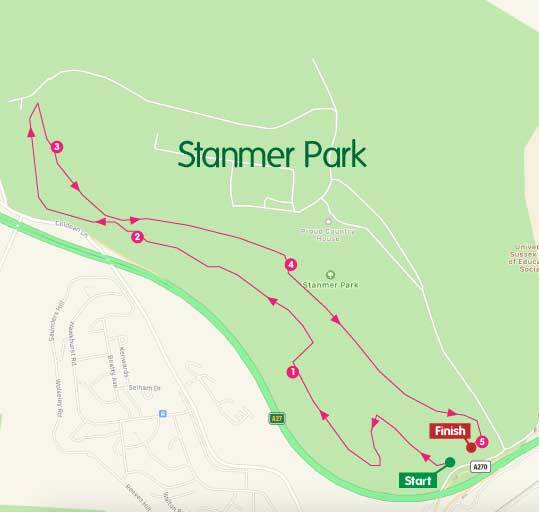 We will be providing toilet facilities in the event village (nearest public toilets are located in Stanmer Village) and there will be dog waste bins provided. We ask that if your dog needs a pre-race ablution, please pick it up! We will have some spare poo bags available. Unfortunately, we will not be providing changing facilities or bag storage so please bring as little as possible to the event, or bring a friend to watch who can look after your belongings and cheer you across the finish line. Humans must be 16 or older to enter and dogs must be 12 months or older. We welcome children running or walking with their parents at no extra charge, but they must be accompanied and feel comfortable around other dogs.